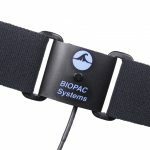 The RSP100C is designed for direct physical measurement of respiratory effort. 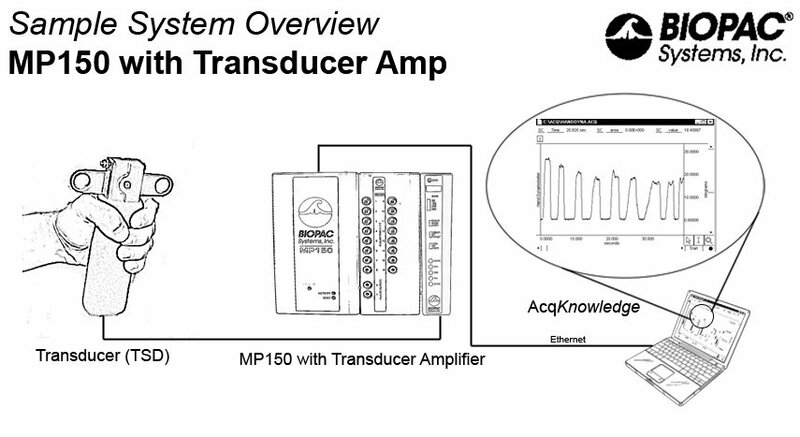 Each RSP100C amplifier requires one TSD201 respiration transducer. The RSP100C works with the TSD201 transducer to measure abdominal or thoracic expansion and contraction while breathing. The RSP100C permits DC coupling to the TSD201 for the recording of respiratory effort signals of arbitrarily low frequency. 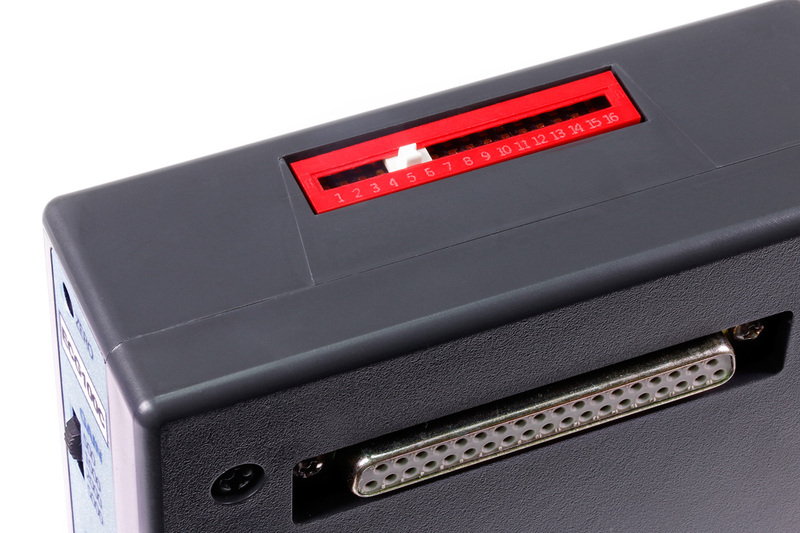 Front panel controls allow selection of absolute or relative expansion/contraction measurements. 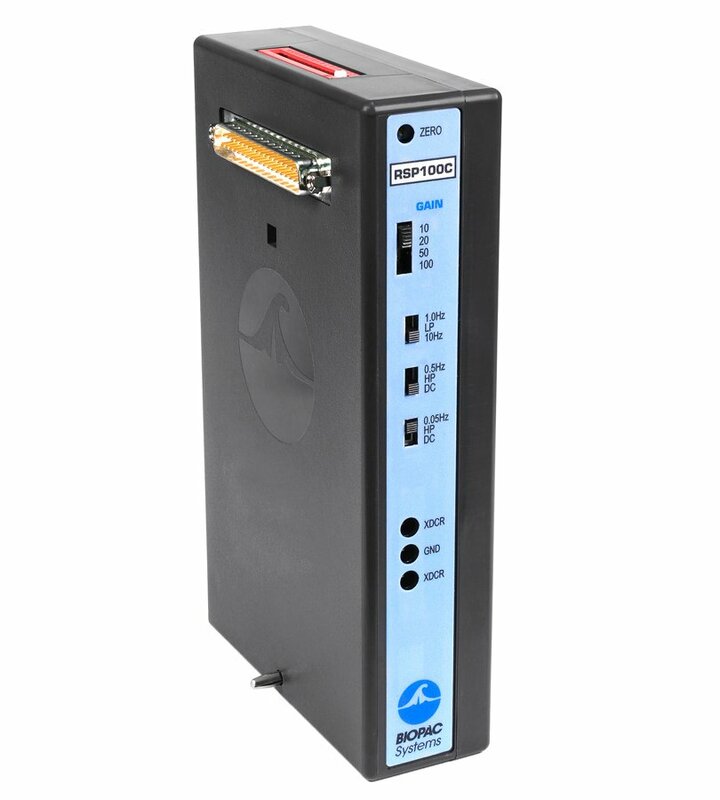 The RSP100C is part of a complete research system, interfacing with the MP150 data acquisition and analysis platform and AcqKnowledge software, allowing advanced analysis for multiple applications and supporting acquisition of a broad range of signals and measurements. Amplifiers snap together for easy system configuration and re-configuration. Powerful automated analysis. Instantly & easily view, measure, analyze, transform, and report data. 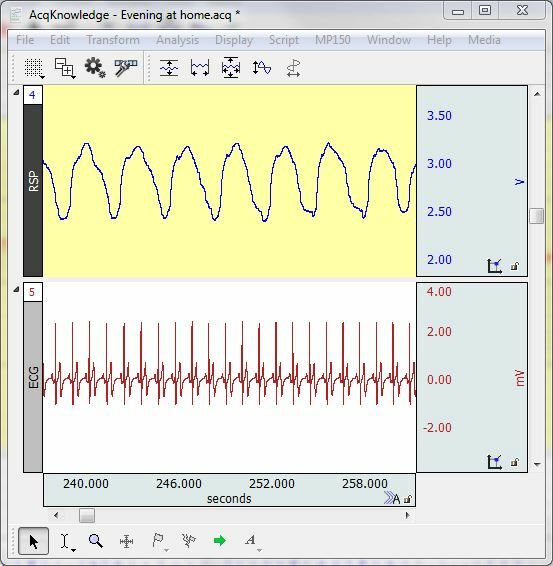 Flexible, proven modular data acquisition and analysis system for life science research.